–Coulson’s robot hand. Good for crushing someone’s ribs into their organs (which we’ll get into later), punching people, and generating a faux Captain America shield. –May’s ex-husband troubles. You manage to reconnect with a decent guy you left due to a horrible trauma you endured, and what happens? He has some Terrigen contaminated fish pills and becomes a Inhuman killing dreadlock monster! And then he dies stuck as this creature, which…tough break there, Melinda. –Bobbi and Hunter say goodbye…for now? While their leaving SHIELD opened up some beefier character beats for the rest of the team, their snappy banter is missed for the remainder of the season. With that spinoff they were sent off to officially dead, hopefully we’ll see them return (eventually) in season four. –It was nice to see some experimentation with the show’s structure, like the high point of the season, the Jemma-centric solo tale, “4,722 Hours”. –Speaking of Jemma, FitzSimmons became WAY more than a professional working relationship this season! And even better, it didn’t get screwed up in a season finale cliffhanger! Yay! 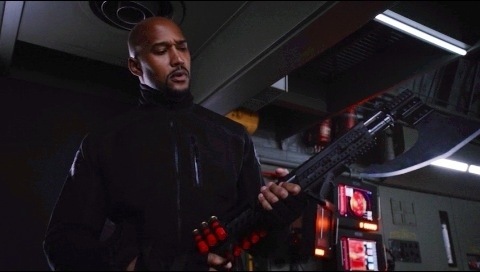 –Mack wanted one of these all season, and in the season finale, Christmas came early and he got it: a freaking shotgun axe! –So we got more Inhumans this season working with SHIELD, and for the brief time they were there, it was kind of awesome. I’m not sure what next season will do with them, now that things in that final scene this season seemed to be very different from the SHIELD we know. 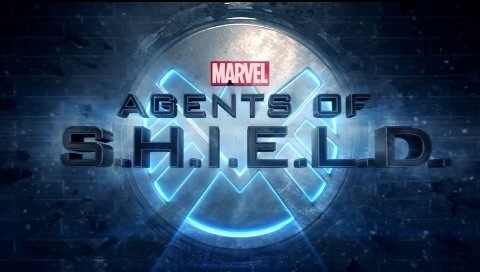 –Talbot as recurring punching bag for Coulson? I can live with that. –And Daisy this season? She got to be a better character, even with her little love fling with Lincoln. Of course, leave it to HIVE in the form of Grant Ward to screw that happiness up by turning her against her friends! She kills Malick, almost kills Mack, gets cured by May’s monster ex, and then has to lose both Lincoln and Ward in one swoop. No wonder she goes all goth and rogue by season’s end. –We okay with bringing John Hannah back next season as that squirrelly scientist whose forced to make Inhuman monsters? Just saying, I am. 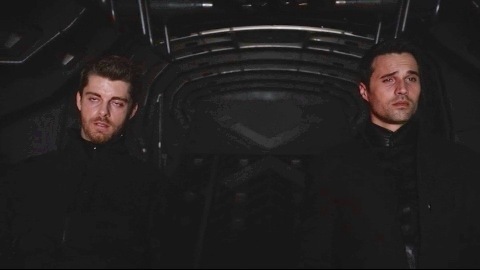 –Lincoln’s arc from “not ready for prime time” SHIELD agent to guy who stops HIVE’s plans by sacrificing himself made up for some of the more bad moves he made this season. He wasn’t the best agent, but he went out a solid one. –RIP Grant Ward. It was only a matter of time before this psycho’s ticket got punched (redemption was way out as an option by this point), and yet getting killed by a vengeful Coulson was not the last we saw of him. No, he ended up becoming the host of that world-destroying creature Simmons ran into on that alien world, HIVE, and caused more problems for our heroes. But eventually HIVE had to get his, and it seems we’ve seen the last of Grant Ward, possessed by an alien parasite or otherwise (maybe?). –Let’s get to some season four predictions, shall we? 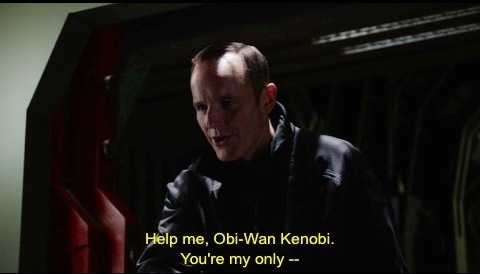 Who’s running SHIELD now that it seems Coulson’s a lowly field agent again? What the devil happened in that six month gap with everyone else? What’s with that Life Model Decoy thing?